Taylor explained, "I've just always loved fish, mermaids, the ocean," noting that the mermaid is "purple for my grandma, because that's her favorite color." She also added, "we've got Hank from Finding Dory up in there." Those unfamiliar with the film should not Hank is the octopus. Taylor credited the work to Erica Flannes (@ericaflannes) at Red Rocket Tattoo (@redrockettattoo) in Manhattan. 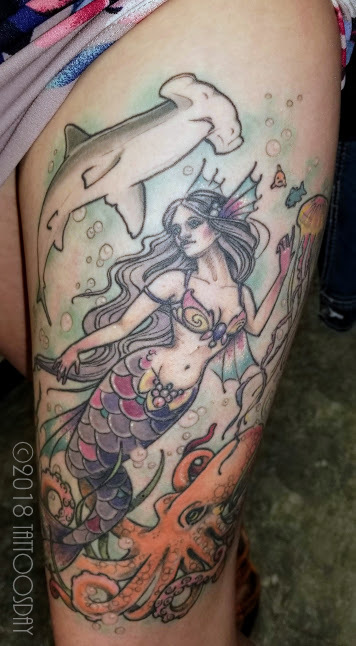 Thanks to Taylor for sharing her cool undersea thigh tattoo with us here on Tattoosday! 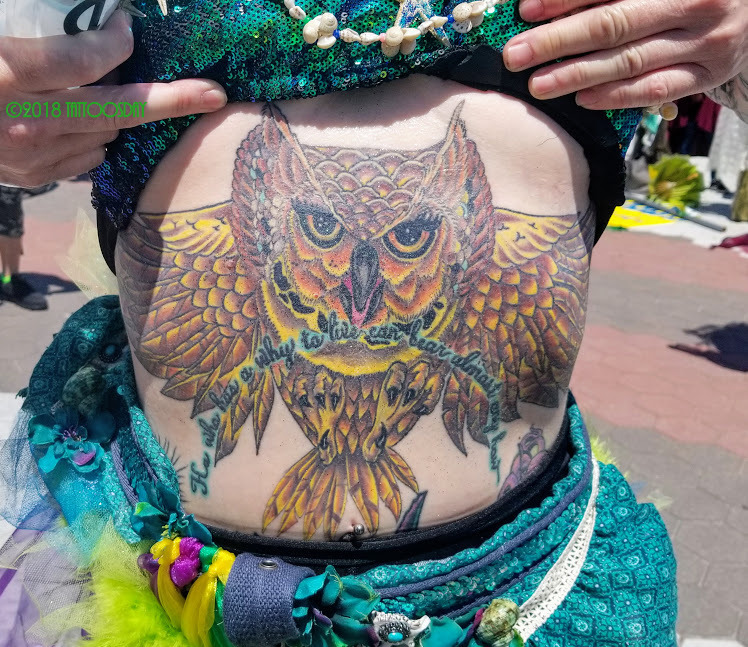 Susan explained that, when she turned forty, her mother had just died and "it just felt right to get an enormous tattoo." The piece depicts the Angel of Grief, a sculpture by William Wetmore Story, for his wife Emelyn's grave in the Protestant Cemetery in Rome. "My mother and I had seen it together," Susan told me. 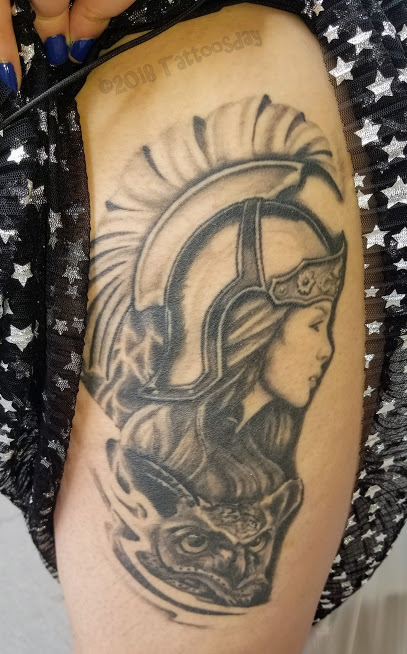 She thought it was an appropriate tribute and fit the bill as a big tattoo. She credited the work to the amazingly talented Annie Lloyd from Get Fat Brooklyn (@getfatbk). Thanks to Susan for sharing her lovely tattoo with us here on Tattoosday! 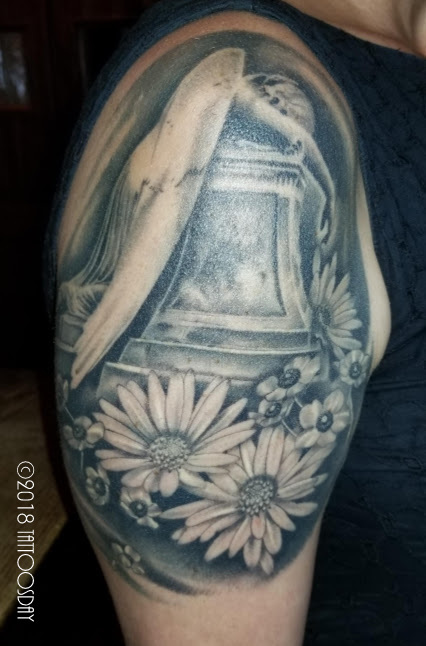 Nikki credited her work to tattoo artist Mel, from Eternal Images in Lanoka Harbor, New Jersey. You can visit Nikki on her site at www.alandandseasmeraid.com. 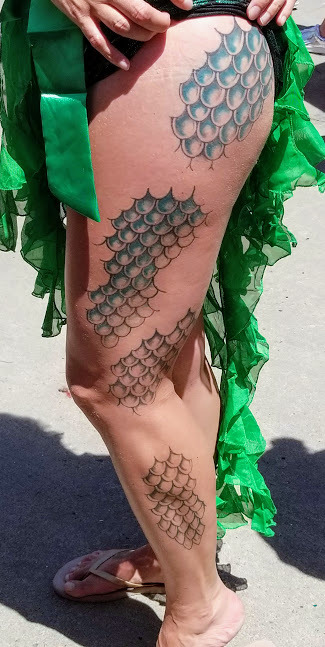 Thanks to Nikki for sharing her tattooed scales with us here on Tattoosday! 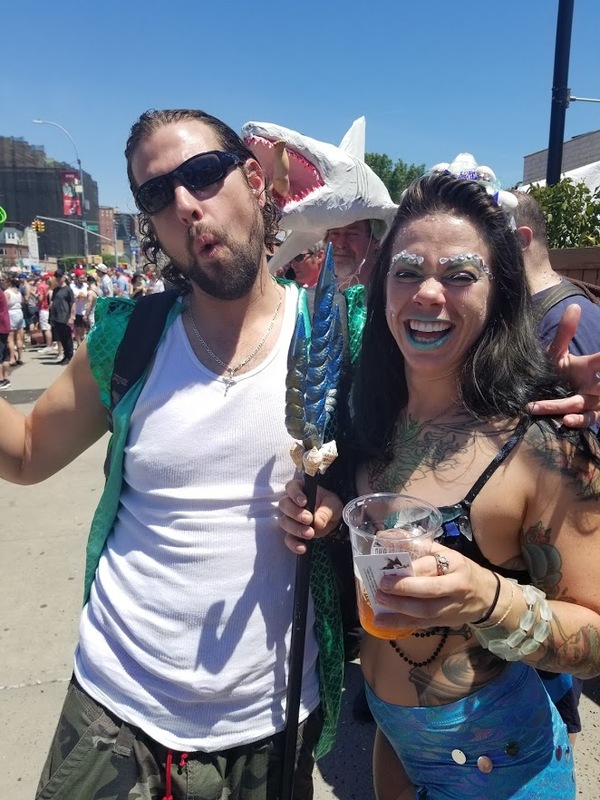 Last Saturday, I was hanging out at the Coney Island Brewing Company (@coneyislandbeer), prior to the annual Mermaid Parade (@mermaidparade). This was an excellent venue to enjoy a Mermaid Pilsner and talk to some actual mermaids about their tattoos. This lovely mermaid and merman were tattooed at the Philadelphia Tattoo Arts Convention (@villainarts) this past winter by Humberto (@elbenttattoo), who is based out of Paris, France. Thanks to Brielyn for sharing her awesome mer-ink with us here on Tattoosday! As you would imagine, Ash told me "Coney Island is my favorite place." 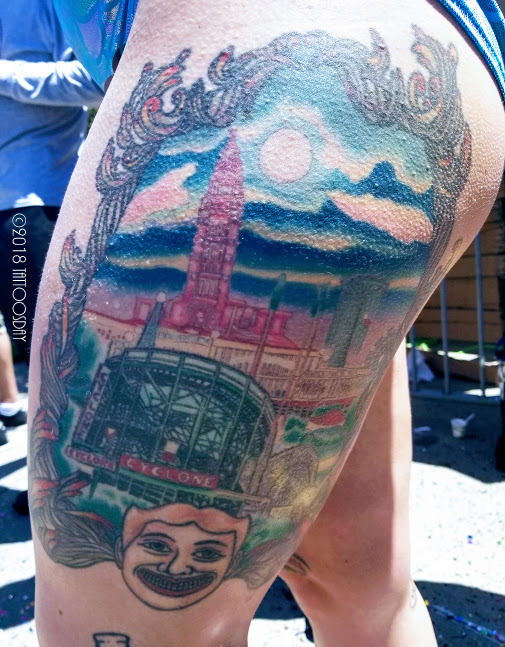 From the Face of the Steeplechase to the world-famous Cyclone, Ash has the locale all packed into one frame that runs the whole side of her thigh. She credited Yurgo from Explicit Tattoo in Suffern, New York, with this great tribute to Coney Island. Thanks to Ash for sharing this awesome tattoo with us here on Tattoosday! She credited Peeko (@peekotattoos) from Pyramid Ink Tattoo (@pyramidink) in Brooklyn with this piece. The quote, "He who has a why to live can bear almost any how," is by Friedrich Nietzsche, and pre-dates the owl. 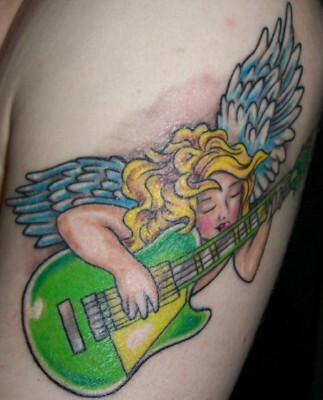 It was done at True Blue Tattoo in Maspeth, New York. Please pardon the shadow in the upper right part of the tattoo. That phenomenal piece was done by Shane O'Neill (@shaneoneilltattooist), who won Ink Master, Season One, and tattoos out of Infamous Tattoo in Delaware. Thanks to Terri for sharing her amazing work with us here on Tattoosday! Great meeting you, Terri! 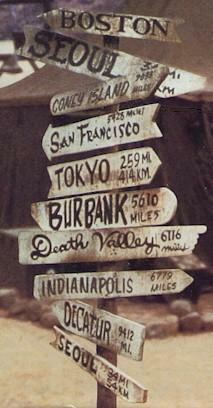 This piece recalls the stack of signs that was often seen in episodes of the TV series M*A*S*H.
Matt wanted to pay homage to the show - not only was it a staple for a lot of us growing up, but it was one of those shows that aired in reruns constantly, back before streaming and binge-watching television was a thing. Without going into too much detail, Matt was laid up for a spell in the early 2000s M*A*S*H helped him through a difficult time - it was "all I ever watched on TV" then, he told me. He credited the artist Rudy, from Skull N Bones Tattoo, in Toledo, Ohio, with the work. 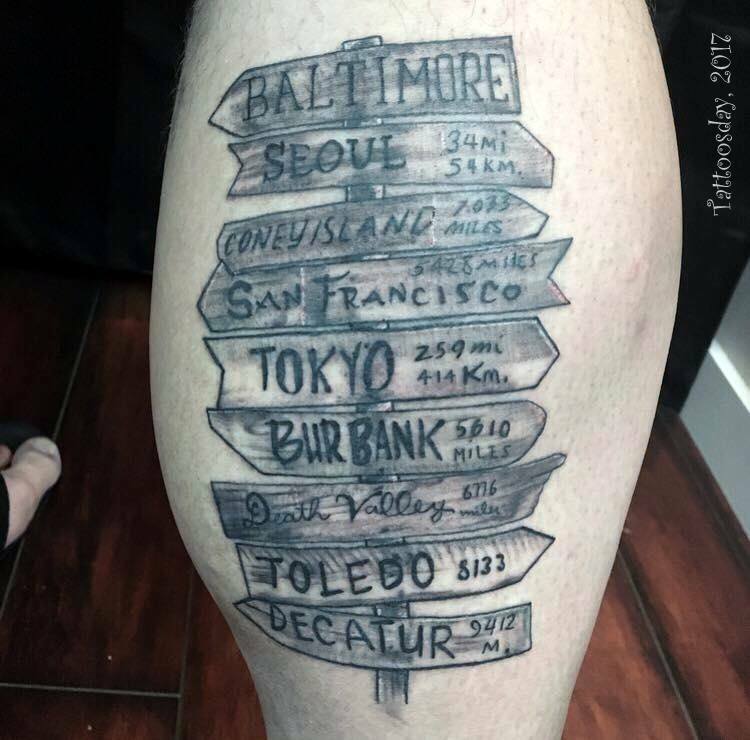 He loves what he did with shading. The Boston sign from the original has been removed and replaced with Matt's new home, Baltimore. Thanks to Matt for sharing this cool tattoo with us here on Tattoosday! I want to wish Diana a happy birthday today! I met Diana last month while walking in lower Manhattan. 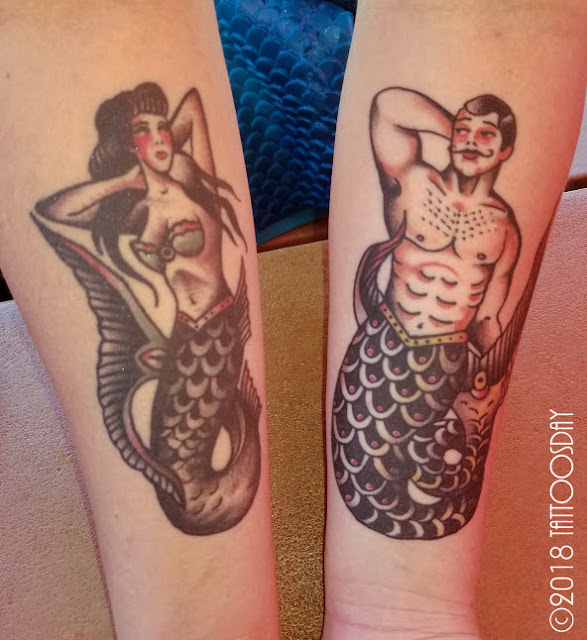 She had, at the time, "about 13" tattoos, and she was kind enough to share them with us. "It's just supposed to be a graceful representation of Lilith ... kind of a feminist symbol ... [Zoe] is a wonderful artist to do this. 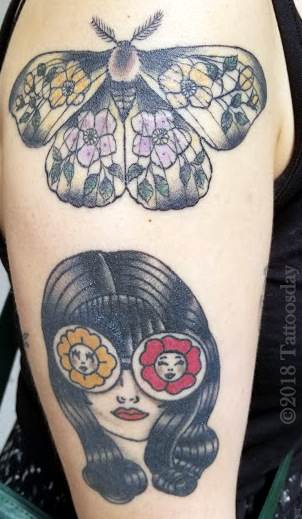 I love her dotwork style but also, we were talking as I was getting the tattoo, she used to be a professor and she kind of made her way as a tattoo artist. She just had an amazing story ... male-dominated field, moving up in her career, it was great of her to do this and to make this feminist symbol on my arm ... 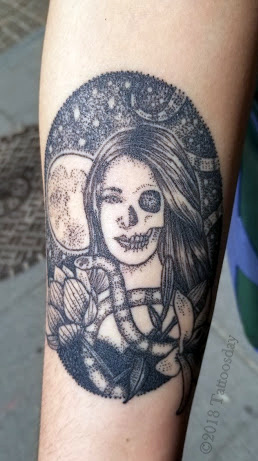 It means a lot for me because ... we looked into the story behind Lilith and we have a couple of the flowers that represent her and then the snake, of course... it was really great to go on this journey with Zoe to like get it right." "I volunteer at a butterfly conservatory at the Museum of Natural History ... I thought this would be a really nice touch I got this because for that reason but also because 8 of Swords was doing a charity benefit for an LGBTQ homeless center in Arkansas [Lucie's Place in Little Rock] ... they raised over 10 thousand dollars in that event and this was one of the designs. Stella [Vlad] (@stellamayvlad) ... made this and did a really great job." Stella was one of the visiting artists who joined Eight of Swords for the fundraiser. She works at Speakeasy Tattoo (@nyspeakeasytattoo) in Peekskill, New York. "I got this from Ashley (@ol_ash), she used to work at Magic Cobra Tattoo Society (@magiccobratattoo) [in Brooklyn] ... I'm a Gemini, so there's two different faces in the woman's eyes, so one is kinda happy and the other one is ... kind of sad looking, so it's like the different personalities." The artist, Ashley Strout, now works at Electric Anvil Tattoo (@electricanviltattoo) in Brooklyn. "I got this in San Francisco ... on my last day [there] and it took hours to do ... I sat for one very long session... The artist I went to, he does really good portrait tattoos ... my mother loved mythology and she passed away when I was a teenager, so I was like oh this would be a really really cool tattoo." 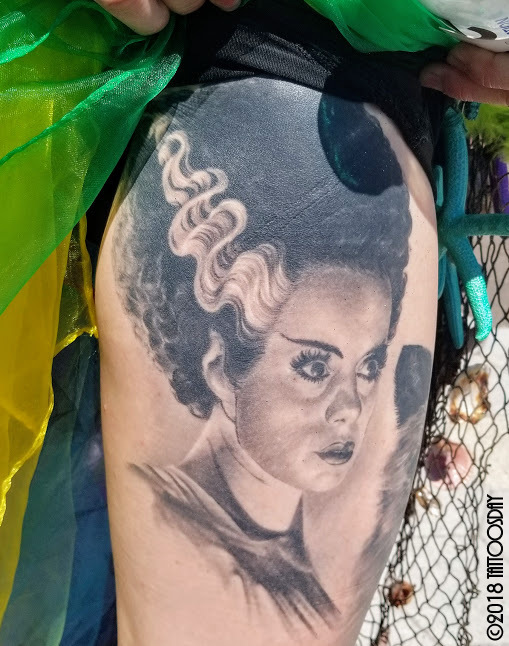 The artist is Brian Jones (@brianjonestattoos), who did this at One Shot Tattoo (@one_shot_tattoo), but he is now based out of Gold Stripe Tattoo (@goldstripetattoo) in San Diego. Thanks to Diana for sharing all of these cool tattoos with us here on Tattoosday! It was great meeting you and happy birthday! Aaron credited Max Brown (@maxwellquesterbrown) out of Brown Brothers Tattoo (@brownbrotherstattoo) in Chicago with this fantastic sleeve. 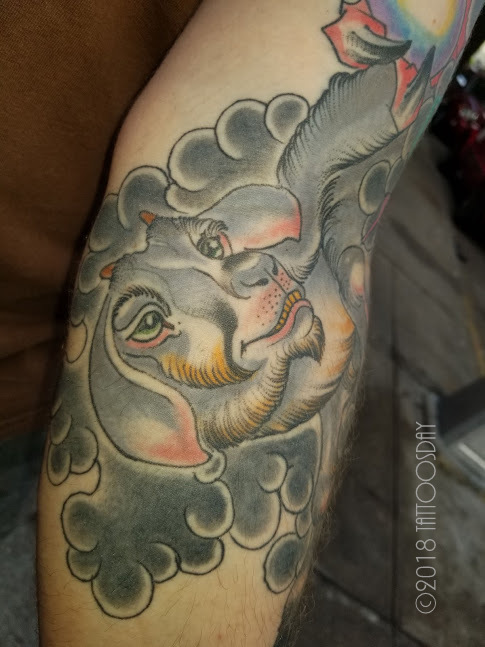 Thanks to Aaron for sharing his awesome Chinese zodiac sleeves with us here on Tattoosday! 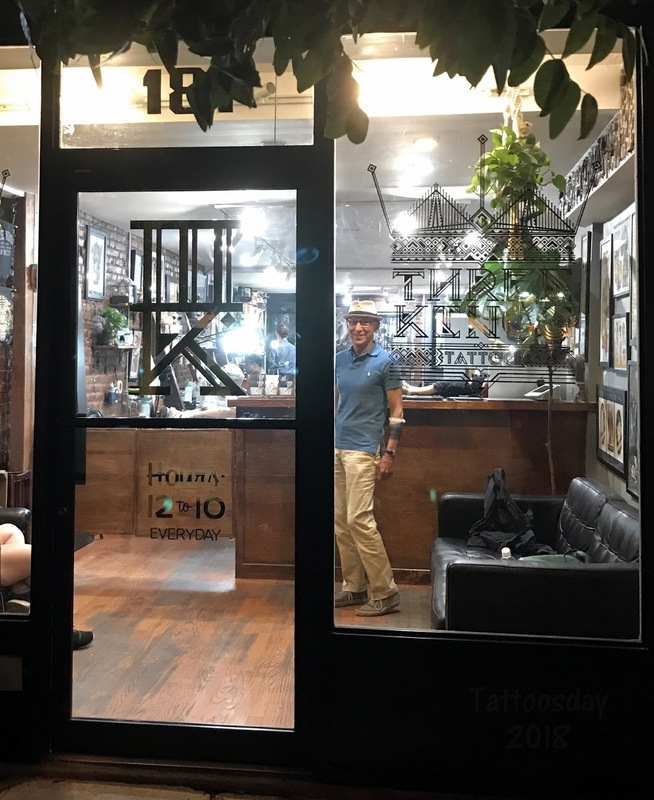 This is a long over due post about Victor, who I met last July at Three Kings Tattoo (@threekingstattoo) in the East Village, when I was getting my latest from Alex McWatt (@alexthreekings). Victor was totally excited to be getting, on his 72nd birthday, his first tattoo! 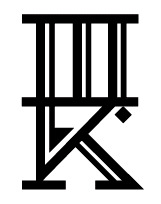 This seemed a bit like kismet as I was getting one for my fiftieth and my first piece was inked way back on my 36th. "Some twentieth-century artists and architects, including Le Corbusier and Dalí, have proportioned their works to approximate the golden ratio—especially in the form of the golden rectangle, in which the ratio of the longer side to the shorter is the golden ratio—believing this proportion to be aesthetically pleasing. The golden ratio appears in some patterns in nature, including the spiral arrangement of leaves and other plant parts." 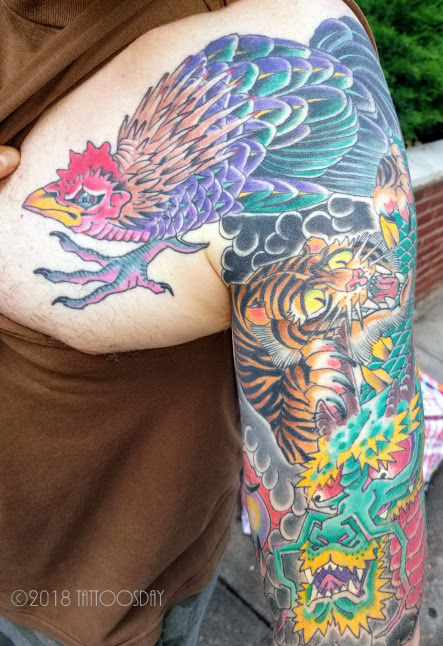 Victor was pleased as punch, telling me afterwards, "It was a great experience and am happy with the design, It's just about healed and think it looks good. I would advise anyone wishing to get one!" The tattoo was done by Caz Williamson at the shop. Thanks to Victor for sharing his first tattoo with us here on Tattoosday!